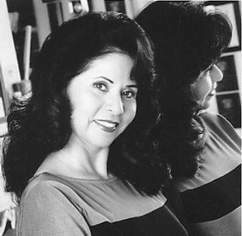 Mary Ann Nuñez, the dancer, danced her first couples dance in 1981 – it was the Country Two-Step. Then, in 1982 she saw people dancing Swing for the first time and fell in love with it. She found places where they were dancing Swing so she could go and watch. By 1983 she was learning Swing by social dancing with anyone who would ask her. Many of the first dancers she danced with and learned from were some of the greats that met at a place called “Bobby McGees” once a month. They danced to Big Band music, so their wonderful styles were in the Lindy family. Soon after that she discovered places where they played Blues and learned another great dance style called West Coast Swing. In 1983 Mary Ann was asked by Dean Collins to be in a T.V. Special called “In The Swing” and was introduced to Lance Shermoen. Later that year, Lance became her dance partner for the 1983 U.S. Open Swing Dance Championships. Mary Ann quickly became the new kid on the block, taking the Swing community by storm and winning the U.S. Open Swing Dance Championships Showcase Division two years in a row. It was her natural talent for Swing that led to Mary Ann Nuñez’s dance career in television, where she appeared on “Dance Fever”, and “In The Swing”, as well as in T.V. commercials. Since then she has garnished many awards and accomplishments to her name. She has placed first in Champion level Jack &amp; Jill Swing competitions nationwide so many times that she has accumulated one of the top highest points in the “Jack &amp; Jill’s” World Swing Dance Council’s Registry. Mary Ann Nuñez, the dance teacher received her teacher’s certification from the Golden State Dance Teachers Association. She was awarded the Technical Dance Award from the GSDTA Reunion and is one of the most sought after teachers both locally in Southern California, as well as nationwide at many dance conventions in the National Association for Swing Dance Events (NASDE) circuit.